Explore provides all the tools you need to manage your current locations and find new sites for expansion. View demographics, nearby brands, traffic counts, and your custom data without ever leaving the platform. 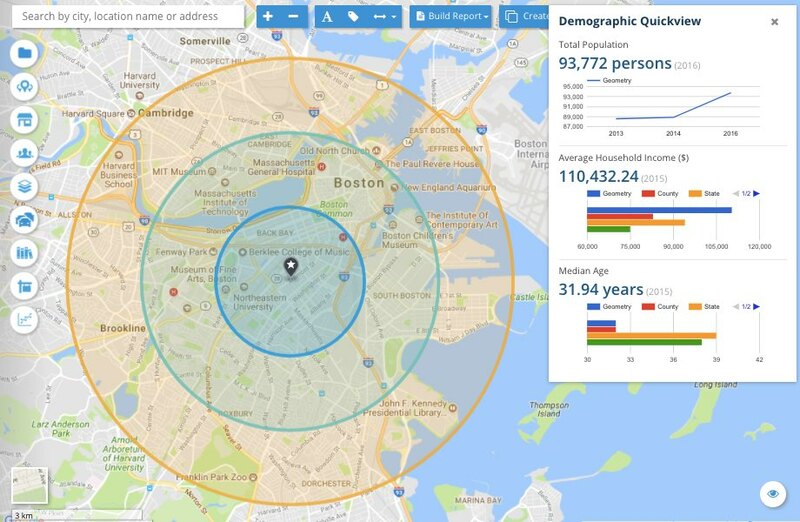 Compare the demographics and nearby brands of two or more sites in just a few clicks. Mark candidate sites and track their progression through the entire site selection process. Our report components can be changed and updated, allowing you to add new data and tables without having to rebuild anything. Once you've created your report you can share it with virtually anybody. You can also easily export our reports to Excel or PDF. Customize our reports to your liking by adding your own title, logo, notes, and demographic variables. Explore allows you to see all of your locations, trade areas, and customers on a map. 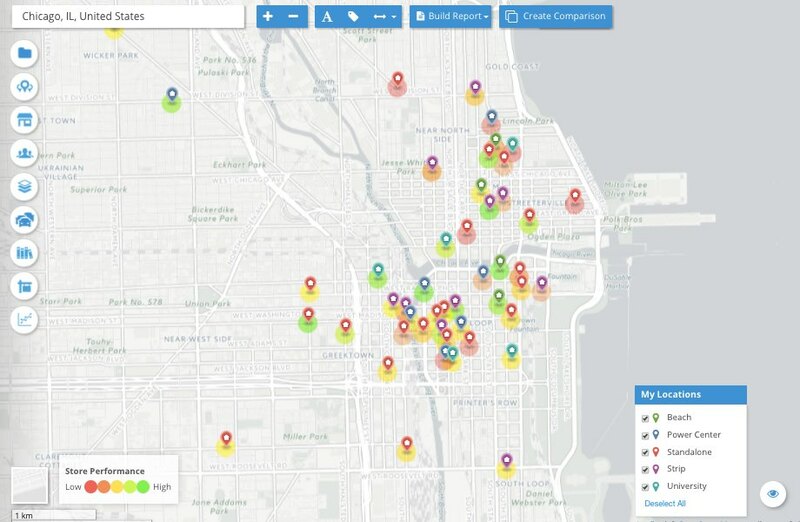 From there you can visualize store performance geographically, get a breakdown of customer spend by neighborhood, and plot virtually any data you have on the map. 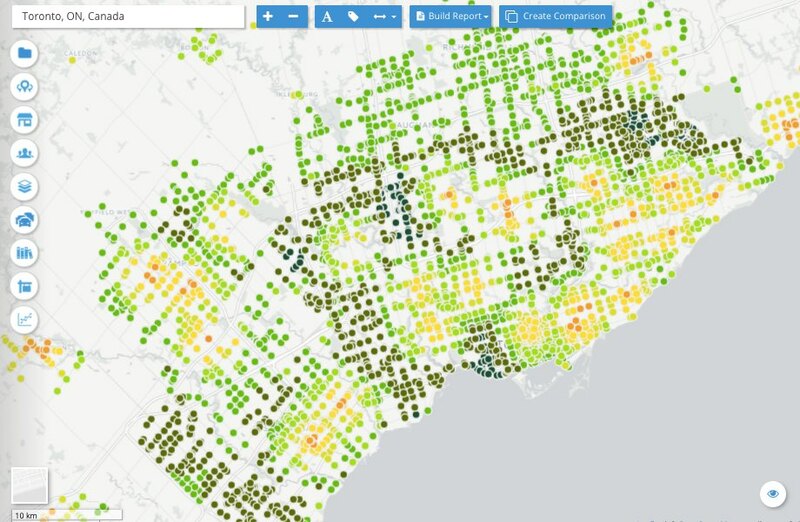 With a quick drag-and-drop, all the data on your locations, from trade areas and store performance to lease dates and rent is plotted on the map. 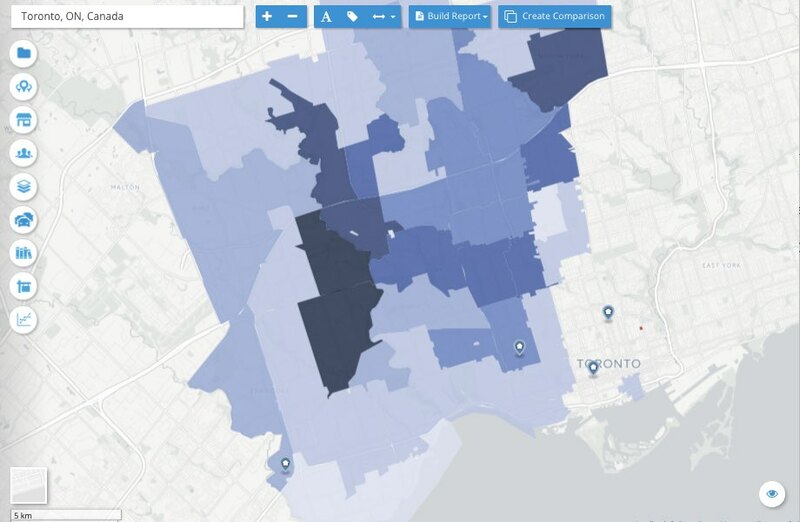 Upload customer data from loyalty programs and surveys to see where your customers live, what your real trade areas are, and which neighbourhoods spend the most at your locations. 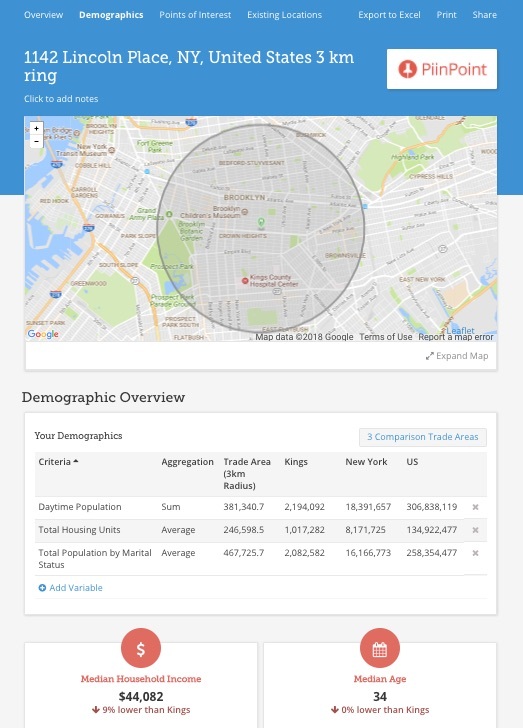 Use our powerful layers system to geocode and map virtually any dataset from competitor locations to franchise territories and employee addresses.